Manage your UNK ID Card online or on your smartphone. Submit your photo for your ID Card (new students and employees). Quickly add funds to your Loper Dollars account. Check the balance of your Loper Dollars, print money, or meal plan. Low on funds? Send an email to mom and dad to request more Loper Dollars. Review your account transactions and much more! Download the app on your iPhone or Android. Select “University of Nebraska Kearney” as your institution. Log in with your UNK credentials by using your full UNK email address (e.g. username@lopers.unk.edu) and password. 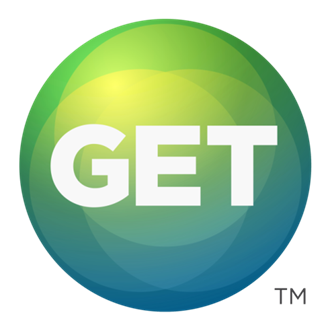 GET™ provides a secure, online platform and smartphone app for you to conveniently transfer funds to your student’s Loper Dollars account. This simple process makes it easy to give students the support they need to succeed, and you know those funds are being spent wisely. You will need to know your student's 8-digit NUID number. Contact the UNK Finance Office at (308) 865-8423. How do I use Loper Dollars? Dining Locations -Use Loper Dollars and save 20% at all dining locations including The Market @ 27th, Louie’s Diner and BUILD Pizza at URS, Java Notes at Fine Arts, Union Food Court - Starbucks, Chick-Fil-A, Subway and Boost Market. Printing - Loper Dollars can be used to pay for printing. Printing is $.05 per page at most black and white printers including those in the residence hall computer labs. For more information on printing, visit the ITS UniPrint web page. Library - Loper Dollars can be used to pay fines for the Calvin T. Ryan Library. Just present your UNK ID Card at the Finance Office in Warner Hall and ask to use your Loper Dollars for payment. Nebraskan Welcome Desk - Use Loper Dollars to purchase stamps, confections, snacks and more. Loper Dollars cannot be used to pay tuition, fees, room or board. Accounts may be closed by the Cardholder by completing the Loper Dollars Account Closure Form and returning it to the Finance Office. Refunds from closed accounts will be paid through the Finance Office and subject to a $10.00 administrative fee. Debts owed to the University by the Cardholder may also be charged against any balance of the Loper Dollars Account prior to computing any refund. No refund will be issued if the Loper Dollars Account balance is $10.00 or less. Refunds will be made payable to the Cardholder and available within two weeks of receipt of request. Refunds can be picked up at the Finance Office in person by the Cardholder or mailed at the Cardholder’s request. Non-refundable and unclaimed amounts will be forfeited to the University 12 months after no longer a student or employee of the University. Return completed form to: UNK Finance Office-WRNH, 2504 9th Ave, Kearney, NE 68849-1245. The Finance Office is located in the southwest corner of Warner Hall and open Monday-Friday, 8 a.m. - 5 p.m.